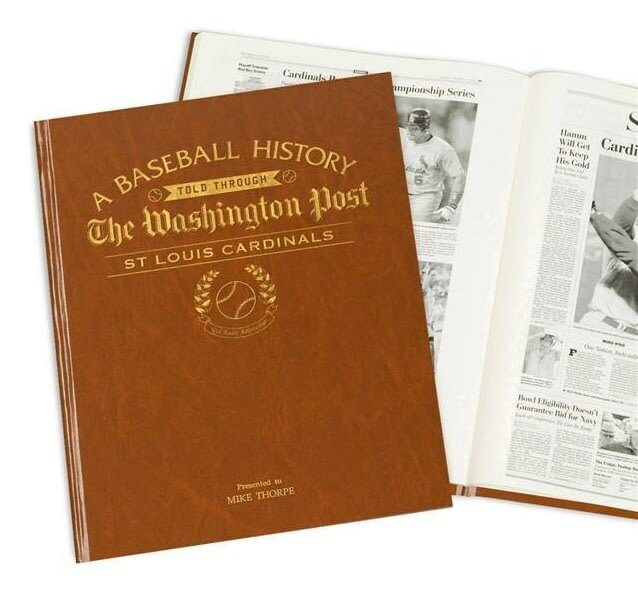 Capture the history and greatest moments of the St Louis Cardinals through Washington Post newspaper articles written at the time. 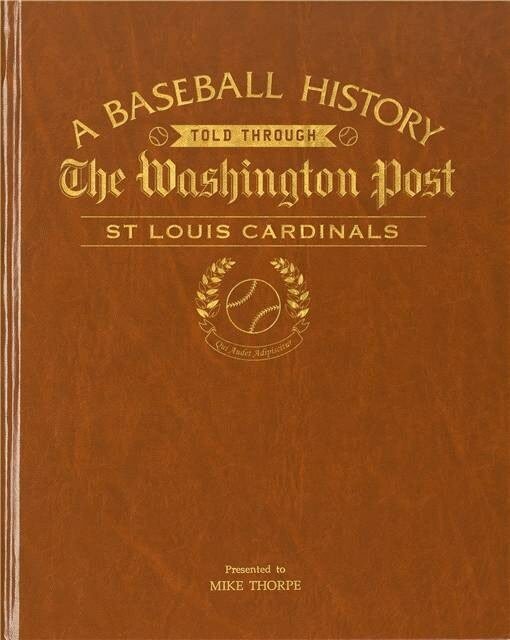 This book begins in September 1926 and quickly goes on to detail October’s World Series victory over the Yankees. 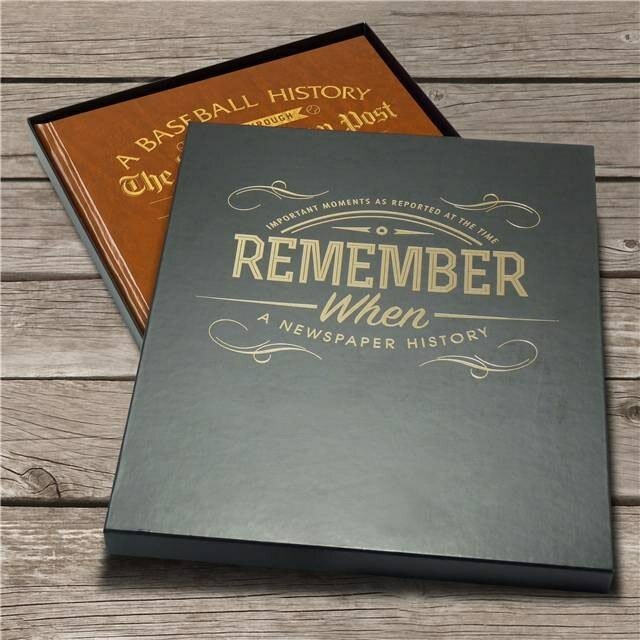 Fans can read historic newspaper coverage of important events such as numerous World Series wins, and their victory over the Texas Rangers to win their 11th title in 2011. 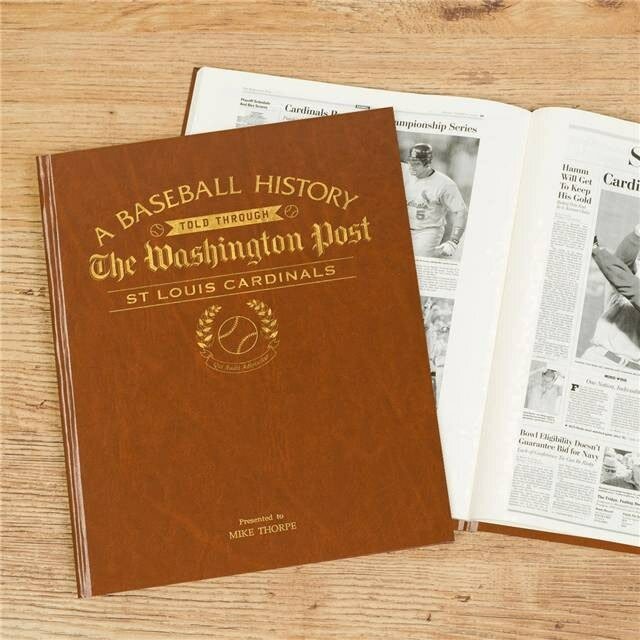 This book is unique and makes a wonderful gift, the perfect for a true Card fan. Reproduced to near full tabloid newspaper size it is bound in luxury tan leatherette, gold embossed, hardback cover. Capture the history and greatest moments of the LA Dodgers through LA Times newspaper articles written at the time. Capture the history and greatest moments of the Oakland Athletics through LA Times newspaper articles written at the time. Capture the history and greatest moments of the Houston Astros through Dallas Morning News newspaper articles written at the time. Capture the history and greatest moments of the Pittsburgh Pirates through Washington Post newspaper articles written at the time. Capture the history and greatest moments of the Texas Rangers through Dallas Morning News newspaper articles written at the time. 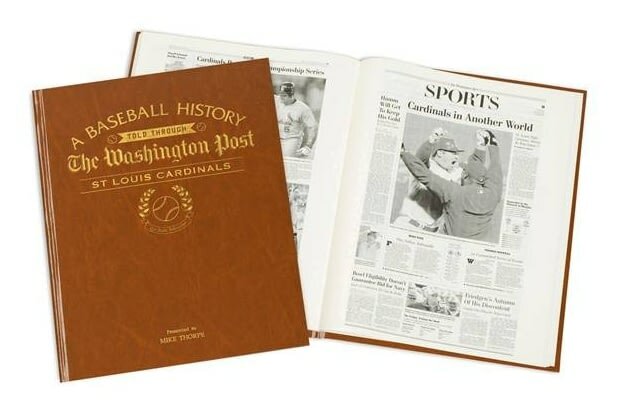 Capture the history and greatest moments of the Philadelphia Phillies through Washington Post newspaper articles written at the time. 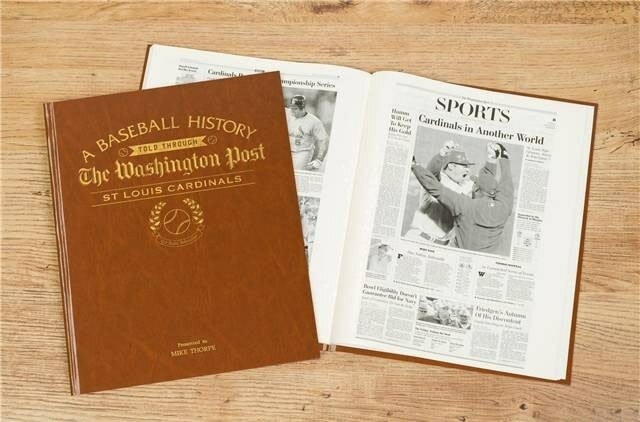 Capture the history and greatest moments of the Chicago Cubs through Washington Post newspaper articles written at the time. Capture the history and greatest moments of the Atlanta Braves through Washington Post newspaper articles written at the time.